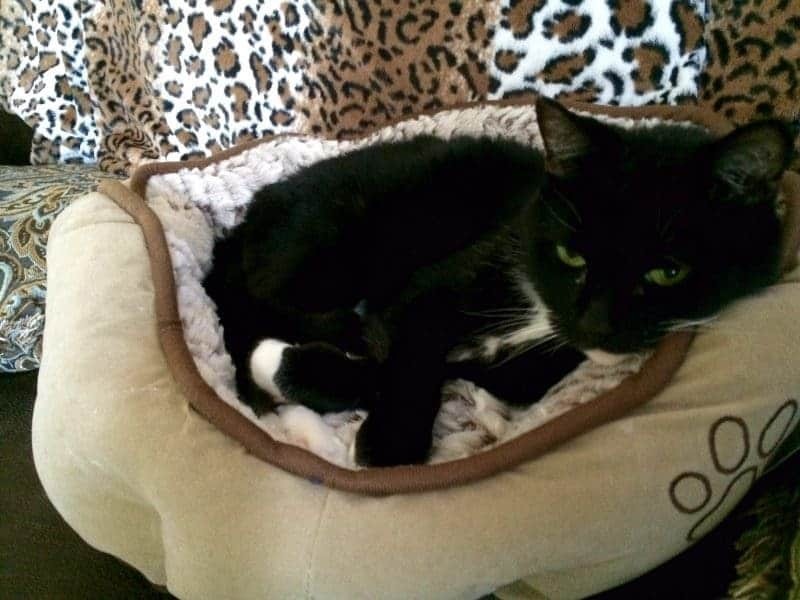 Our New Begnal Kitten & Her New Hartz® Cat Products! This conversation on our new Bengal kitten was sponsored by Hartz®. View our complete disclosure policy here. I am very happy to introduce you to the newest member of our family Xena. 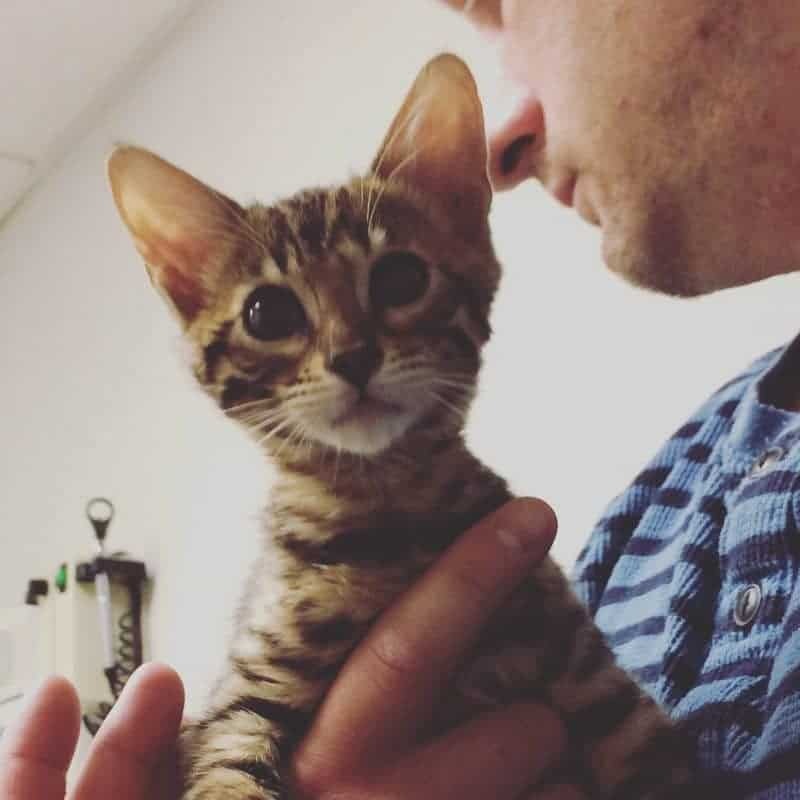 Xena is a spunky little Bengal kitten that just joined our little family. She loves to explore her new digs and climb up to sit on her humans shoulders. We love Xena's playfulness and have been having a lot of fun with her, but our 18 year old cat Angel doesn't share our enthusiasm. Angel just wants to chill out and relax and doesn't want to be bothered with a playful kitten. We are hoping that with time Angel warms up to her new, younger, roommate. With a new kitten comes the need for new toys and cat supplies. 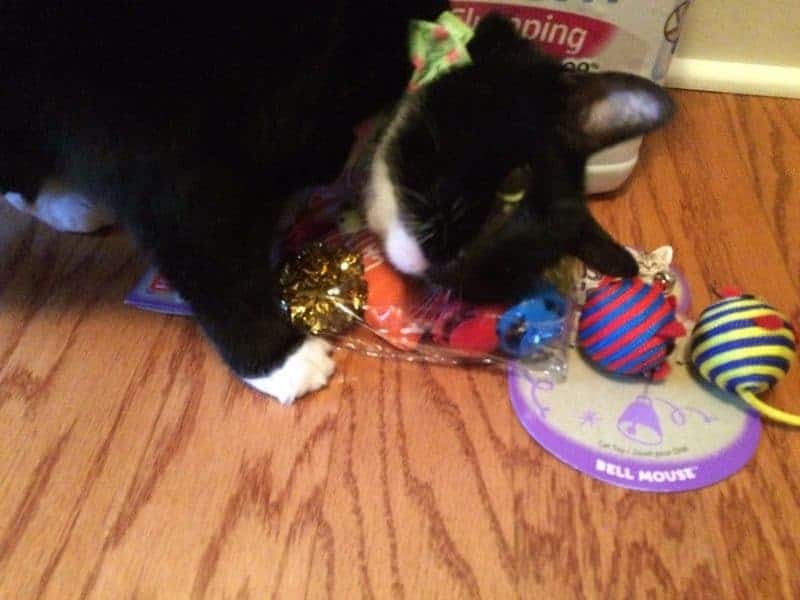 Hartz® was kind enough to send Xena a variety of their cat products, including a bunch of fun toys that are perfect for energetic kittens and senior cats alike! As I was trying to photograph the kittys' new Hartz® toys our 18 year old cat Angel came over and just couldn't wait to play with them herself. She sniffed them out and rubbed up against the toys that contained catnip. Although Angel and Xena may not be best buddies yet, one their they can agree on is that they both love their new Hartz® cat toys! Angel's favorite new toy is the Ball Mouse. 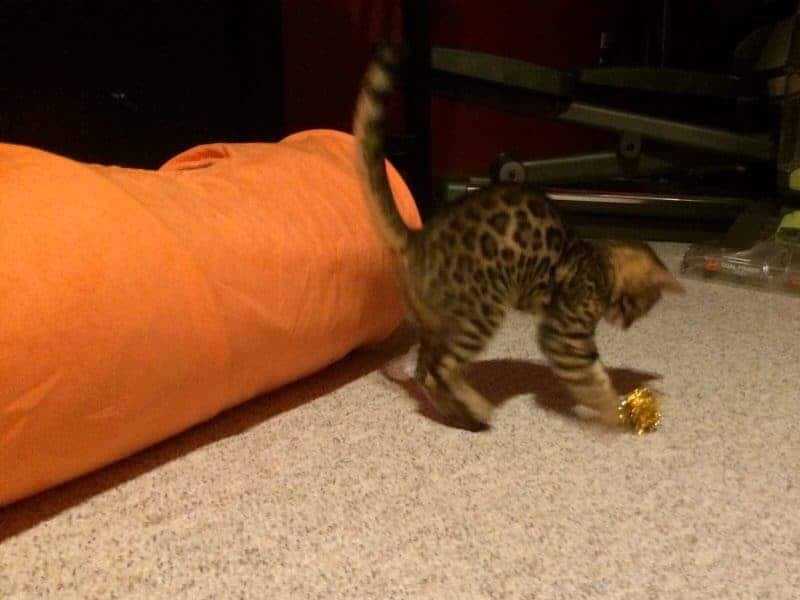 Xena's favorite is the crinkly metallic ball from the Hartz Just for Cats Value Pack of cat toys. I think what she loves most about it is the sound that it makes when she grabs it. But to be fair, Xena really isn't too picky when it comes to toys are she have been enjoying every Hartz® toy. Our basement is now covered with them, and Xena couldn't be happier! 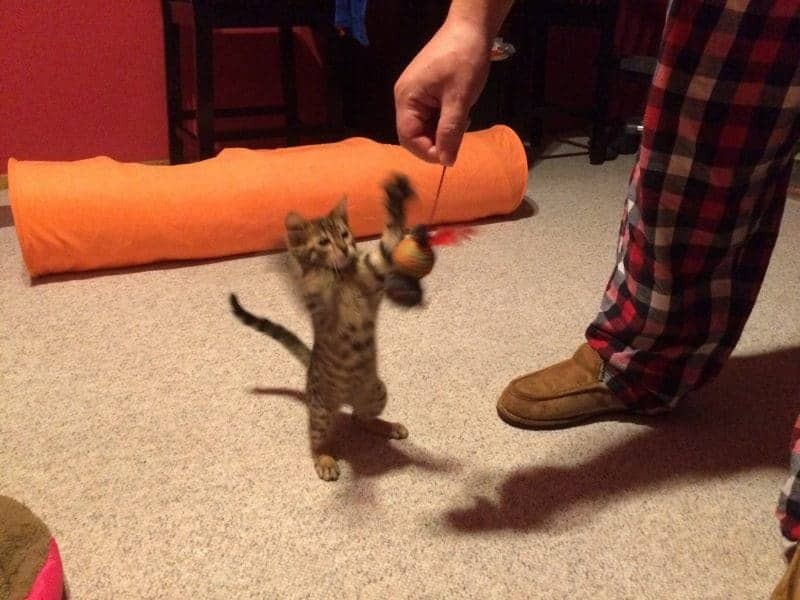 Xena also really enjoys trying to catch catnip filled Rollabout Mouse when her human parents hold them it by the tail and make it dance around. Hartz was also thoughtful enough to send over some of their Hartz Delectables® Lickable Treats. 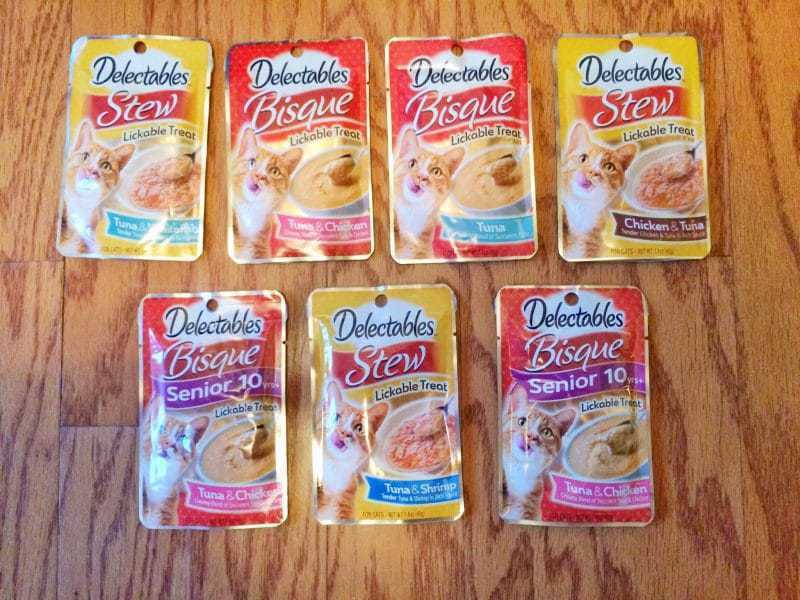 They even make a special Senior variety just for cats over 10 years old! Angel loves each of the Lickable Treat varieties and has been enjoying them all. Last but not least, let's talk cat litter. I am not gunna lie, I despise my daily chore of scooping the litter box. It is a yucky and stinky job, but someone has got to do it and that someone is me. 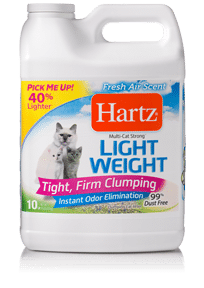 We switched out our cat litter to Hartz® Multi-Cat Strong® Light Weight cat litter and I am very pleased with the change. The litter is super lightweight, which makes scooping and bagging easier. I have also noticed that much less dust flies up when I am scooping now that I have made the change. Plus, I swear the little box has no scent at all now! I don't smell anything when I walk past it or when I scoop. The only downside is that since the litter is so lightweight our overzealous litter digger, Angel, tends to send it shooting out of the litter box and onto the floor. But this is nothing that a litter mat or a litter box with a door won't fix. I am very happy with the litter overall and plan on purchasing Hartz® Multi-Cat Strong® Light Weight in the future. If you have a cat or kitten at home and would like to pick up some Hartz toys, litter, or treats check out the Hartz printable coupons that are currently available and save yourself a few bucks! Most Hartz products can be found at Walmart stores or ordered online through Amazon. Visit the hartz.com website for details on where specific items can be purchased. Do you have a cat or kitten? 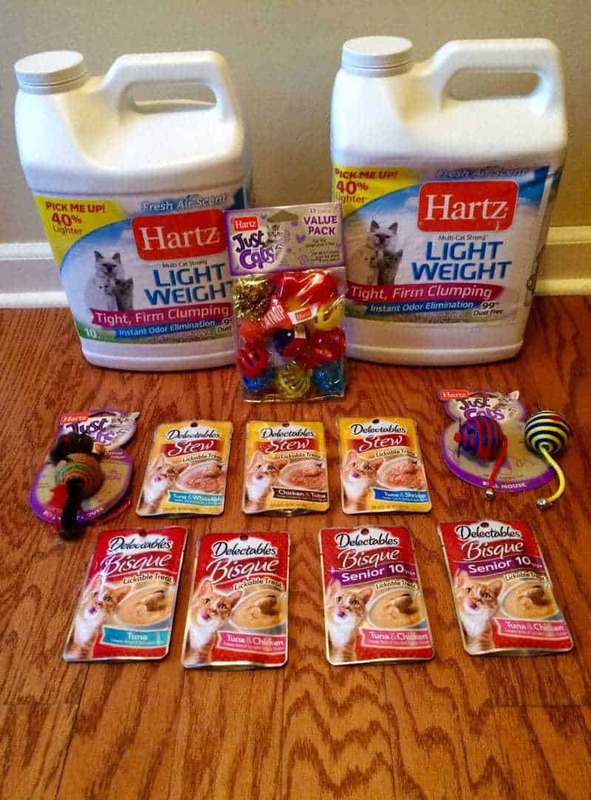 Have you tried Hartz cat products? I would love to know in the comments section below. This kitten is adorable. I cannot have these loving animals as I am allergic. Kittens are so much fun. Yours is beautiful. What a cute kitten! Love hartz! Great products! Enjoy Xena being a kitten, she’ll be a cat before you know it. A beautiful cat. What a beautiful older cat and a beautiful kitten. I know you all will have a lot of fun with it. The toys look fun for them too. I do trust hartz products because they have always worked in the past and what an adorable kitten you have there and I with all those treats..
We’ve had three cats so far in the 21 years we’ve had our home. Two of them had died; Purdy & Tiger. We still have Mocha. Your Xena looks like our Tiger did. Angel is gorgeous! Of course, we used the Hartz products with all of our furry friends!! Nice kitten! It is cute that the toys got Angel to play, too! What a cute little kitten, and love hartz products, they have so many wonderful products for cats. 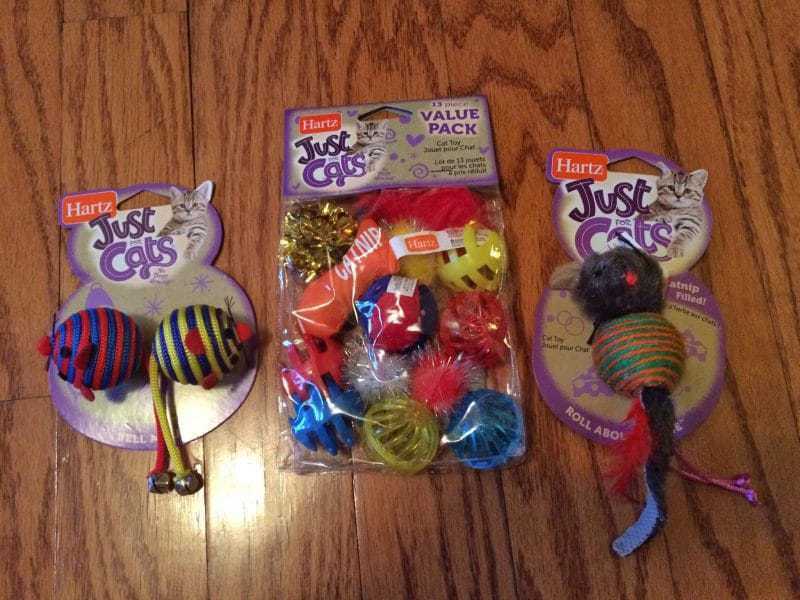 I have to agree, our cats ALWAYS loved their Hartz toys. We’d have them in a little “toy box” for them and the next thing we knew they were all out onto the floor playing with them. I love Hartz’s quality also..great products for pets. Thanks for sharing this! Great looking little kitty. I had 2 cats…Well they got really sick. If you like cats and kittens a lot check out the KittenAcademy on youtube livestream. They have lots of adorables to watch. I’ve been watching for a couple months. A cat reality show. Fun.